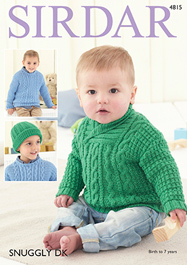 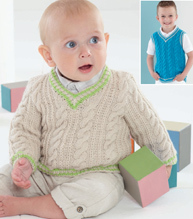 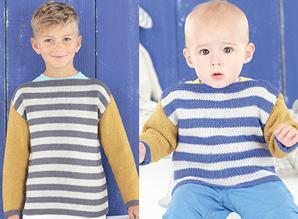 Sirdar 2491 is a babies knitting pattern for round neck and roll neck sweaters available as a PDF download. 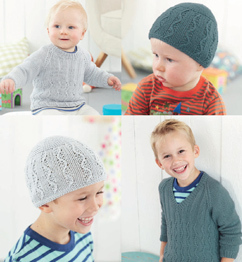 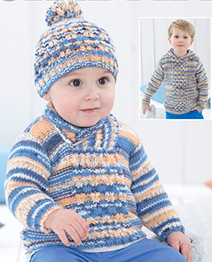 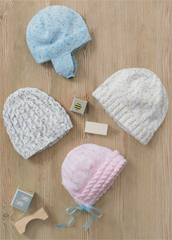 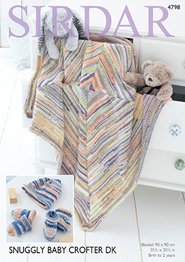 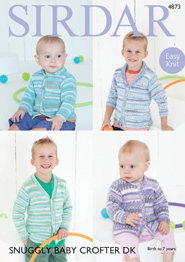 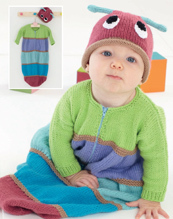 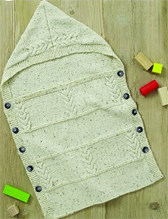 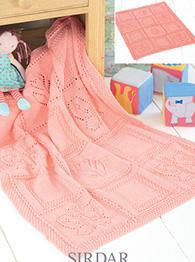 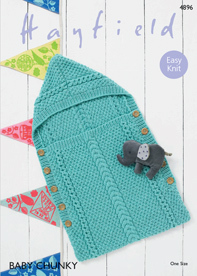 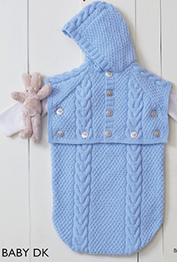 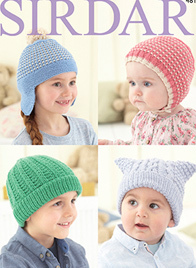 Uses easy knit stocking stitch to fit 1-2 years and 31-51cm. 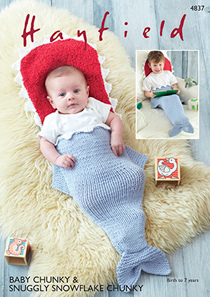 Includes premature sizes. 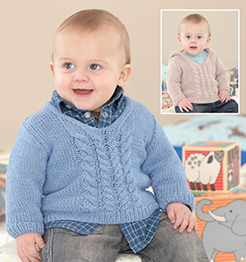 Shown in Snuggly Crofter 4 ply. 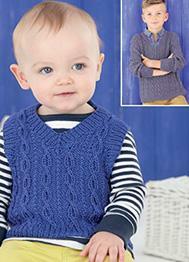 Hayfield 4538. 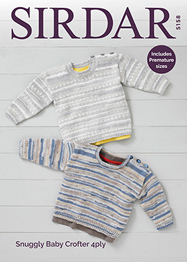 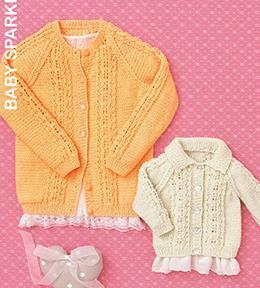 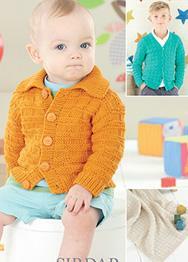 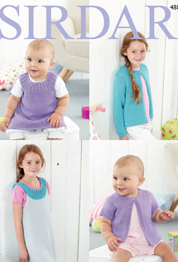 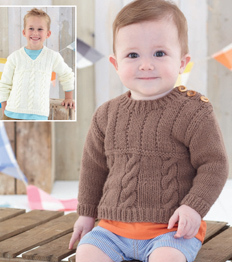 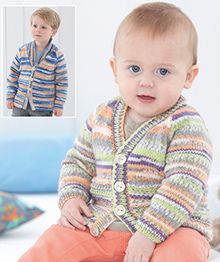 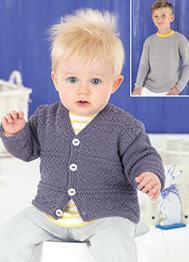 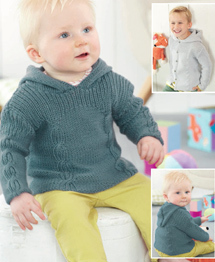 Round neck and collared cardigans with cables to fit girls 0-7yrs, 41-66cm (16-26in) and shown in Hayfiled Baby Sparkle DK. 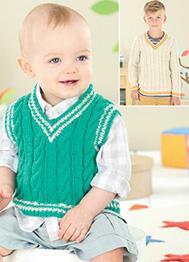 Hayfield 4539. 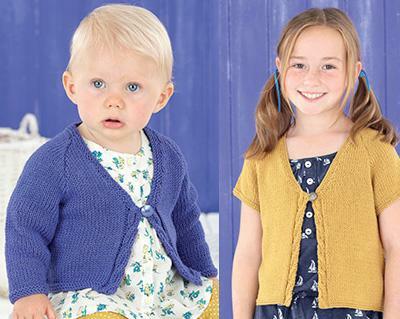 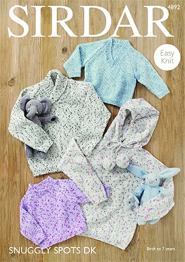 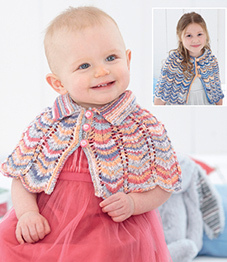 DK knittng pattern for round and v neck cardigans with lace pattern shown in Hayfield Baby Sparkle DK to fit girls 0-7 yrs, 41- 66cm (16-26ins). 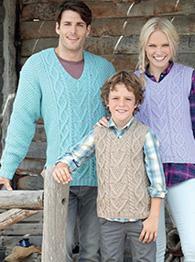 Hayfield 4540. 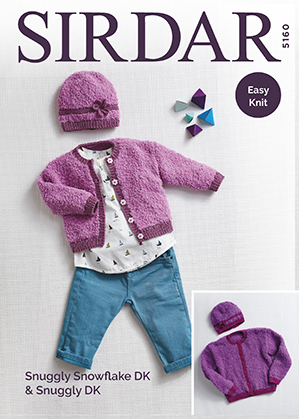 DK knitting pattern for v neck and round neck cardigans for babies and girls 0-7 yrs, 41-66cm (16-26in) and shown in Hayfield Baby Sparkle DK.